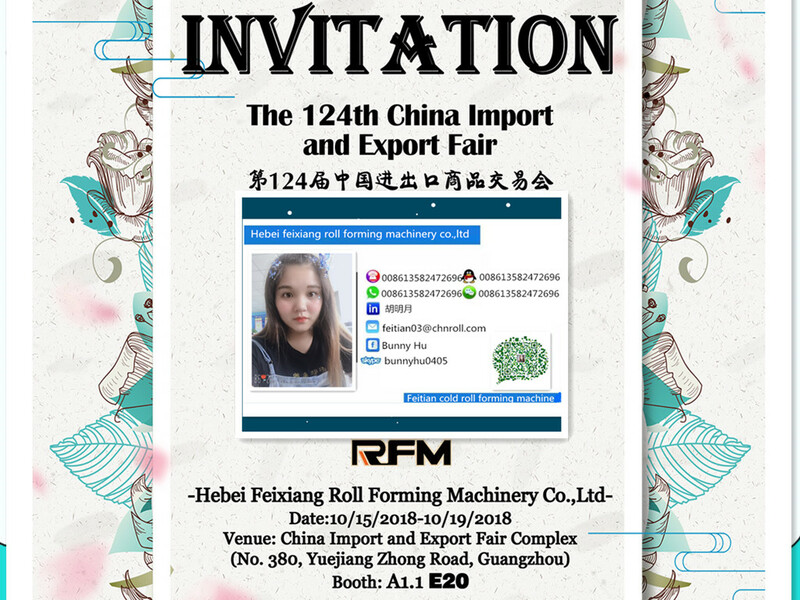 We will participate the 124th Canton Fair again, and you can find us in location( The booth number A-1.1-E20 ,or you can add me whatsapp+8613582472696). This time, we will display machine that is the omega and U track combine roll forming machine. We do the change on technology and appearance to improve machine quality. You will find our machine not only the good-looking, but also the stronger good quality when work in a high productivity. I expect to meet you in the fair during 15th-19th,October.